Free parking is only allowed in the white areas, while in the blue areas, it is subject to payment and in the yellow ones is only for residents. Parking is free (white zones) all over the city, apart from the following areas: Centro Storico, La Cerchio dei Bastioni, La Cerchio Filoviaria of lines 90 and 91, Fiera Milano, San Siro and Zona Bicocca. vehicles to which special exemptions are granted, provided with the corresponding card. Among the free parking spaces, it is impossible not to mention those located near Monumentale, Lambrate and Baggio cemeteries, where the entrances and access roads to the area are full of white zones. These are unattended parking lots, but very spacious and without a time limit. Among the largest free parking areas, there is the Maggiore cemetery (zone 8). The word "free" is also mandatory near train stations that, as well as the city center, are traffic nerve centres. As the Lambrate station, provided with a free car park and two other adjacent free parking areas and Milan Central railway station, whose nearby streets (eg via Copernico) offer the possibility of parking for free. via Zara: here is a large free fenced parking lot, which is the Rho train station one. From the station, which is 200 meters away, a train to Rho Fiera leaves every 15 minutes. Near the Rho Fiera entrance 5 there is a parking where you can park for free. In viale del cargo 1 is possible to park in front of the freighter.. Going to Mazzo di Rho from the fair there are dozens of empty parking spaces, when they are not occupied by the resident owners. There is a free car park in Mazzo di Rho via Risorgimento and is 24h open. It has 600 parking spaces with no attendant. Connected to the Fiera Milano Rho with the metro. In Rho via A. Grandi there is always parking. Milan historic center is a limited traffic area with payment and guarded parking from € 3 / hour. For this reason, even in one of the most prestigious shopping streets of the Lombardy region capital, such as Corso Buenos Aires, on-street parking is regulated by the blue areas, from € 1.20 / hour (with the "scratch and park" coupon). However, in the surrounding streets, it is possible to park for free - except for residents. In the surrounding streets of downtown, where you can find free parkings, there is: via Cadorna (in the section from Piazza Venezia to the intersection with Via dell'Annunziata), Parco Sempione (near La Triennale) and via Díaz. However, traffic in this area is particularly dense and, despite the availability of free parkings, it is difficult to find available spaces. If you visit the Cathedral Square, located in area C, the ideal solution is to free park near it. In particular, you can leave your car in Porta Romana or in Piazzale Lodi, where it is easy to find parking, outside peak hour, near the metro station (yellow line). An alternative is Piazzale Abbiategrasso, always close to the metro station (green line) with which you can reach the Cadorna station. From there you can continue walking or take the metro (red line) and get off at the next stop (Duomo). Then there is Piazza Affari, where free parkings are just few and there are available places only early in the morning or outside peak hour. Located in the Cerchia Extrafiloviaria, Bicocca is a district of Milan that, among other things, is known for the homonymous university. Its parkings are free on Saturdays and Sundays and every day after 7:00 p.m. In addition, near the university, there are free or low cost parking areas for students, employees and guests. The great capacity of the San Siro stadium in Milan allows it to host concerts, games and other important events. It is easily accessible by car, but the difficulty will be finding a parking space. 25 minutes by metro from the stadium, in Via Adolfo Omodeo, 29, you will find a wide but not guarded free car park. Its advantage is the proximity to the ring road exit, which can be reached faster, avoiding getting stuck in traffic, especially when leaving large events. An alternative is Via Chinotto, 20 minutes walk from the San Siro stadium, where you can park your car for free on the street. To the south of Milan, at the beginning of via Giuseppe Ripamonti , we find the tram terminal 24 equipped with a very spacious and free parking. Further on, at number 291, there are about 20 free parking spaces and, a little further on, at number 320 there are another 10. In general, it is possible to park without parking disk nor payment throughout the street and especially near the inhabited areas. In via Noto and via Abbadesse, we found another free parking lot. 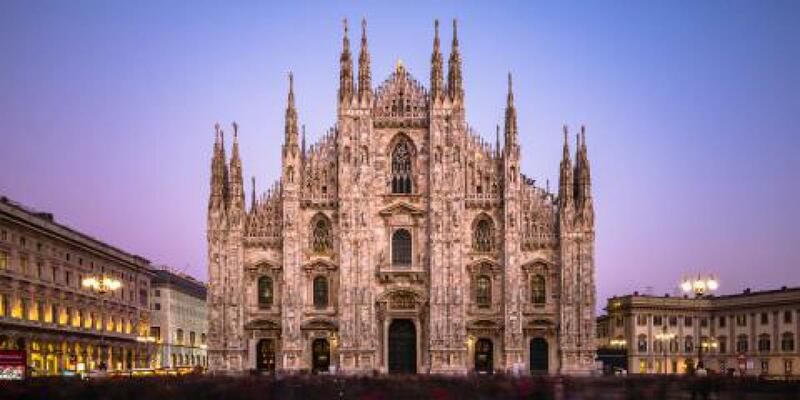 It is located in front of the University of Milan Conservation and Restoration of Cultural Property Department. In Famagosta area, from Piazza Maggi to Piazza Miani, via Moncucco offers several free parking spaces, with the advantage of being a few meters from the green metro station. In proximity to the centre of Milan, Viale Papiniano, a long road where the San Vittore jail is located, is divided by a central reservation where it is possible to park for free. Just be aware of market days, because it occupies a part of the central reservation. theft of the vehicle itself or personal objects inside it. If you wish to park your car in a safe place, near the central station, Parkimeter offers you the possibility to book a parking space in a low cost and well connected parking. The latter, in addition to being the nearest parking to the central station of Milan, is located in front of the bus stop to the airports and near the green and yellow lines metro stops.